In March, Commission President Juncker outlined his five scenarios for the future of Europe, which boiled down to a simple question: more or less of the status quo? His recent admission of a mysterious “sixth scenario” must mean a radical, sustainable, people-focused rethink of the European project, write Leida Rijnhout and Paul de Clerck. We are very excited that President Juncker appears to have acknowledged ‘Scenario 6: Sustainable Europe for its citizens’, launched in June this year by a diverse coalition of almost 300 civil society groups from all over Europe. We hope to hear more of his thoughts on this scenario in his State of the Union speech on September 13th. This sixth scenario was launched in response to the paucity of options presented by the Commission in March, which failed to address one of the main challenges Europe faces today: bridging the growing gap between the EU and its citizens. The 5 proposed scenarios also barely touched on sustainable development, how to battle the climate crisis or key questions such as ‘what kind of Europe do we want’ and ‘who is it for’. Instead, the Commission’s original proposals focused mainly on the power division between Brussels and member states and prioritised European trade interests, single market issues and defence. Not the type of issues that will bring the EU closer to its citizens. Civil society instead presented a vision that puts the public interest, democracy, environmental justice, human rights and a strong social fabric at the core of what the EU should be doing. Our hope is that President Juncker uses his platform this Wednesday to bring these issues to the forefront of his vision for the future of Europe. However, there is often a gap between what he says and what the institutions he presides over do. For example, a recent Commission paper on ‘Harnessing Globalisation’ commits the Commission to ‘an ambitious decarbonisation of its economy and to cutting harmful emissions’. At the same time, Juncker’s Commission, as well as member states, continue to provide massive political and financial support to fossil fuel projects. Billions of euros are planned to be allocated to gas infrastructure projects such as Liquified Natural Gas terminals and gas pipelines. About two-thirds of projects funded by the Commission’s Connecting Europe Facilities program are gas projects. As most of such infrastructure will operate for a period of 30-40 years, this will lock us in into decades of further fossil fuel development. Exactly the opposite of what Europe needs. If the Commission is serious about decarbonising our economy, it should move to a quick and ambitious phase out of all fossil fuels. Since taking office in 2014, he has repeatedly reaffirmed his and the Commission’s commitment to the UN Sustainable Development Goals (SDGs). However, a look at his track record suggests otherwise. The Commission is clearly falling behind the ambitions of most member states on implementing the SDGs. In the Council Conclusions of June 20th, member states lament that the Commission has so far failed to take the necessary steps to develop an overarching strategy for Sustainable Development. Waiting until 2020 as proposed by the Commission, when the current EU2020 strategy expires, is clearly not a sign of strong leadership. 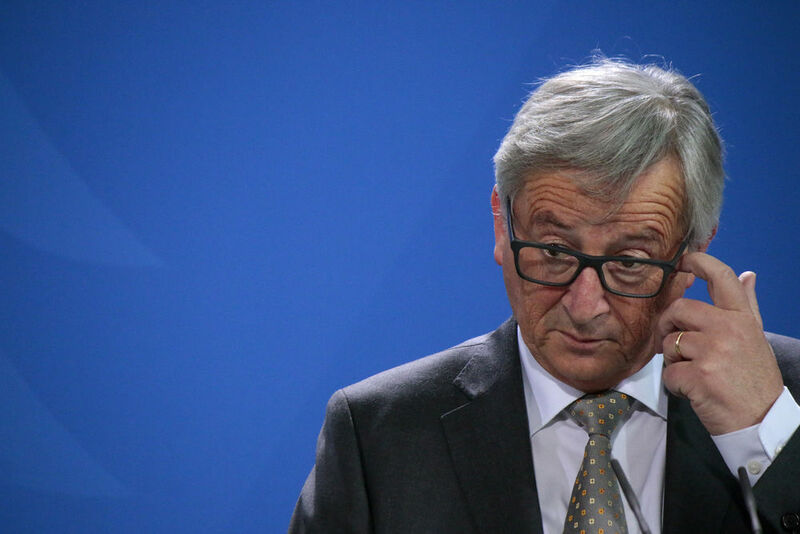 Finally, President Juncker promised a ‘broad debate’ that includes ‘civil society at large’ about his five scenarios. In a press statement on 17 July, the Commission boasted that it had held 1,750 events on the subject. We were surprised at this figure and even wondered if it was real or fake news. None of our contacts around Europe are aware of what would have been an average of 63 public debates per country on this topic. We only traced discussions organised by national members of the European Economic and Social Council – a good initiative but hardly one that will reach ordinary citizens. We believe it was a missed opportunity from President Juncker not to reach out to civil society to organise a much- needed debate with citizens. Half a year ago, when the Commission launched the discussion on the future of Europe, there was a sense of crisis in Brussels and member state capitals. The radical change we need seemed like it could find its way onto the agenda. Yet, as President Juncker prepares to outline his vision, the worry is that we are staring down the barrel of business-as-usual. If he does surprise us all on Wednesday with his sixth scenario, it must be one setting out the fundamental changes that almost 300 diverse, citizen-backed organisations have set out. A variation on the status quo will do nothing to solve the climate crisis, the growing divide in society, or the impacts of globalisation and free trade, and instead further erode citizens’ trust in the European institutions.